The McHale F540 non-chop round baler features a star-shaped feed rotor to quickly and efficiently move the crop from the pick up into the bale chamber. 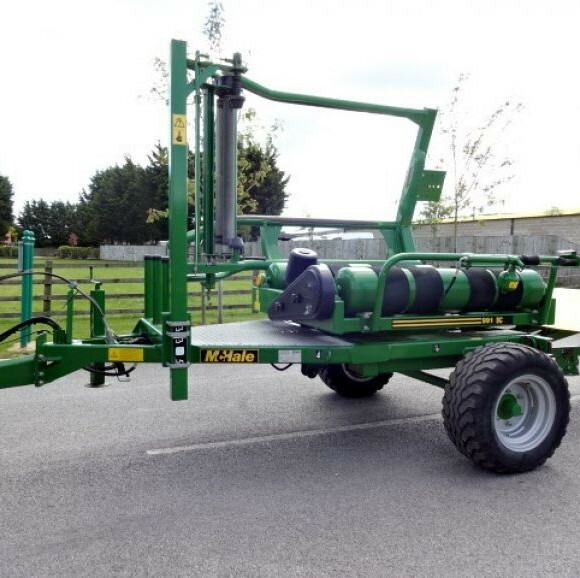 This maximises the baler performance and throughput. On the F540, the left handside of the gearbox drives the rollers in the bale chamber, while the pick up and feed rotor are driven from the right hand side of the machine. This system ensures direct short transfer paths and optimal power distribution.